Everyone knows how important exercise is to staying healthy. But it is often hard to carve out time in the day for work out especially if that involves going to the gym. You could spend 30 minutes in the gym but another 45 minutes getting back and forth. Instead, devote those 30 minutes to your home gym in your converted garage. Don’t just put up a treadmill and some free weights. Fill this room with the same kind of amenities that you would find at a real gym like mirrors on the wall, a good sound system and plenty of exercise equipment. A child has a way of taking over a home but for all the right reasons. Still, it would be nice if you could keep all of their dozens of toys in a single location. A converted garage can become a terrific playroom. There can be plenty of space to set up a table for crafting and various playsets. To make this work to embrace the fact that his room is all for the child. In other words, move out any tools or other items that you might have stored in the garage. 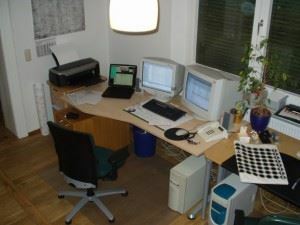 If your job allows you to work at home, then you need a dedicated space that is free from distraction. It’s hard to get work done if you’re sitting at the kitchen counter. Your converted garage can become the perfect home office with plenty of room for storage. You might even consider replacing the garage door with something that is more inviting like French doors or a wall with windows. Before you can get started converting your garage you need to clear it from top to bottom. That’s where Junk King Minneapolis can make a big impact. The two-man crew assigned to your task will be able to roll their big truck right up to the back of your garage and load up all the things you want to get rid of. You’ll be charged a flat fee based upon how much space your garage clutter will fill on the back of the truck. You won’t be charge by the pound and that can make a huge difference. Converting your garage into a new space is easy with help from Junk King Minneapolis. This entry was posted in Minneapolis Junk Removal and tagged clutter, converting your garage, Junk King Minneapolis, rubbish on June 27, 2017 by Junk King. Last updated June 27, 2017 .